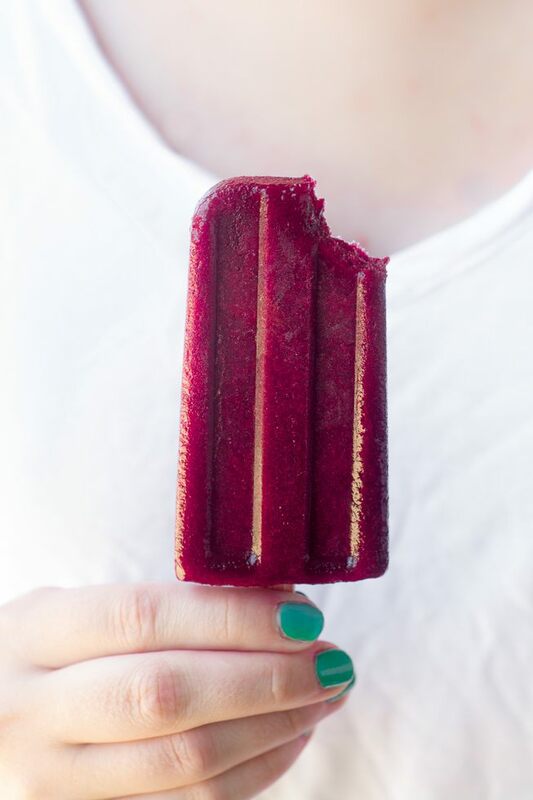 The flavor of these Cherry Lemonade Popsicles is pure vibrant fresh cherry with a touch of citrus --- they're one of the joys of summer! Put all the ingredients in the bowl of a food processor and process until smooth. Scrape down the sides of the machine as necessary. This next step is optional, but I did it --- push the puree through a mesh sieve. Press firmly with the back of a spoon so you get as much as possible through. Fill the popsicle molds almost to the top. The puree will be thick enough that you can stand the sticks right in, without using the top to hold them. Freeze the popsicles until solid. To remove from the mold, immerse the mold up to, but not over, the top lip for just a few seconds in a sink full of hot water. To store the popsicles wrap well in plastic.